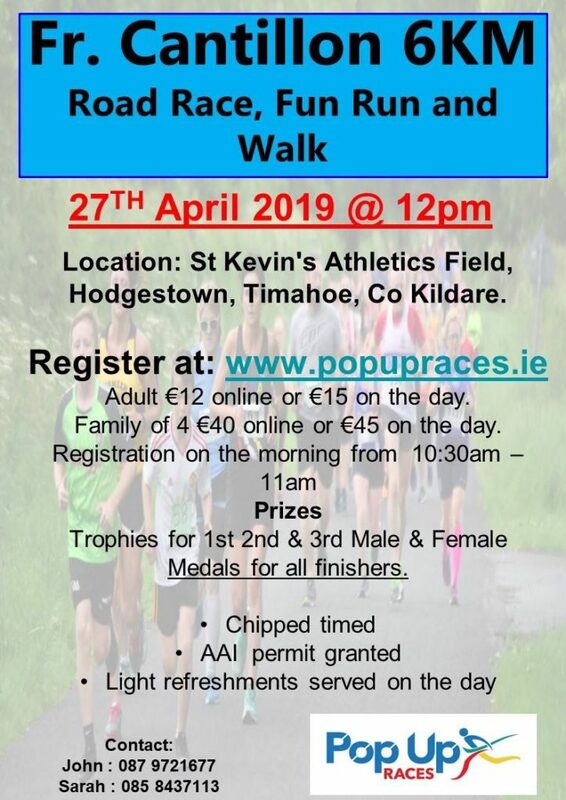 Fundraiser for St Kevin’s Athletic/Running Club. Adult €12 online or €15 on the day. Family of 4 €40 online or €45 on the day.